Some of the fondest memories I have from my childhood are of clogging workshops I attended with the likes of Tandy Barrett, Scotty Bilz, Jeff Parrot, Chip Woodall, and Jeff Driggs. When these greats were teaching, they were sharing more than just clogging routines and technique; their love for clogging permeated their instruction. They were passionate about sharing their love for clogging, and that passion seemed to give me permission to acknowledge my own soulful connection with the dance. 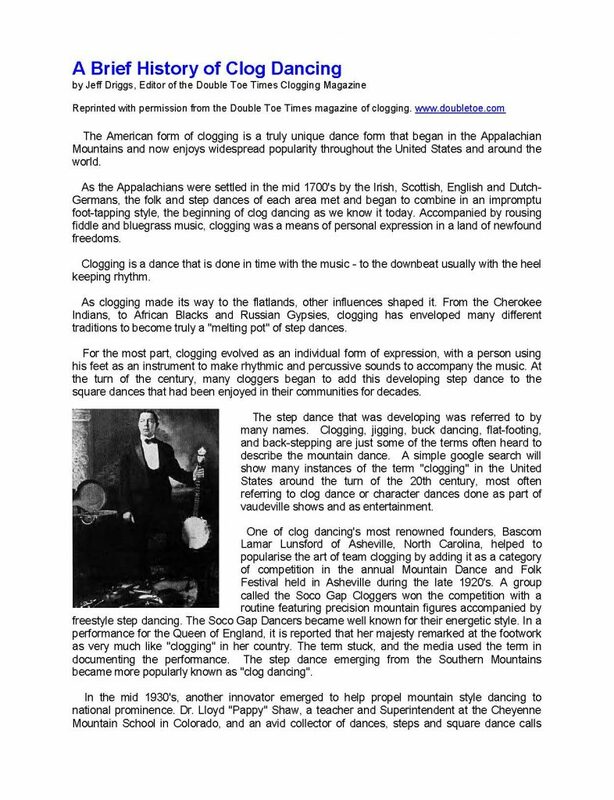 Perhaps that’s one of the reasons I continue to be drawn toward Jeff Driggs’ telling of the history of clogging. 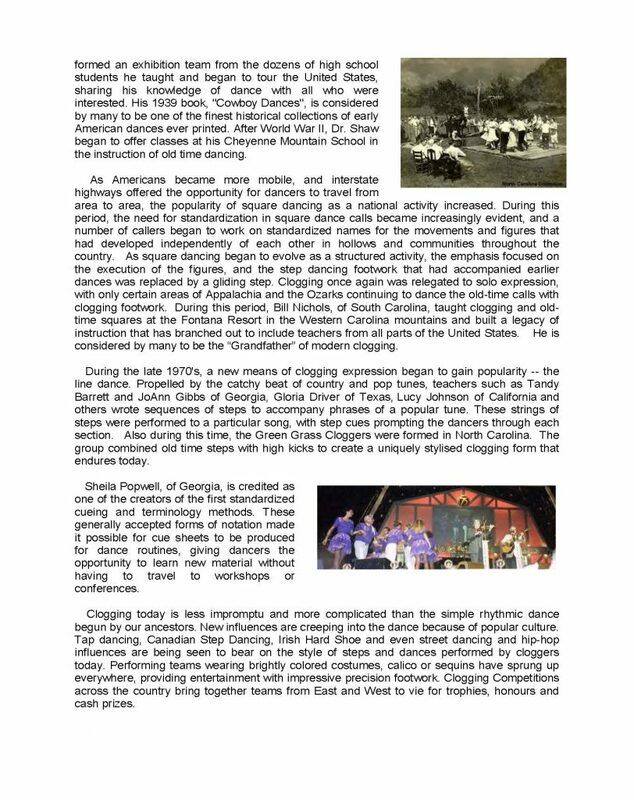 The evolution of clogging is remarkable, and Jeff describes that journey in a way that makes his love for the dance apparent. That passion still greatly inspires me. Are you ready for clogging in the Salem, Albany, and Silverton area? Here’s a look at Jeff Driggs’ work: A Brief History of Clog Dancing. Get ready to awaken your own soulful connection with clogging!